Margot is a Magnani classic. Timeless and eye catching. 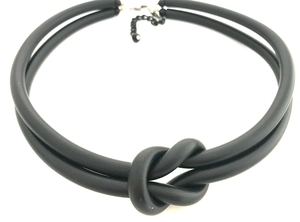 The designed knot symbolises strength. Material: Black rubber and the clasp is made out off stainless steel.